So I sat down with other magazine, website and blog authors to discuss with a Gourmet Garden representative and Kim McCosker, the importance of fresh herbs in cooking. While dried herbs are common in every home (and café) kitchen, they pale in comparison to the potent flavours offered by the ‘real’ thing. 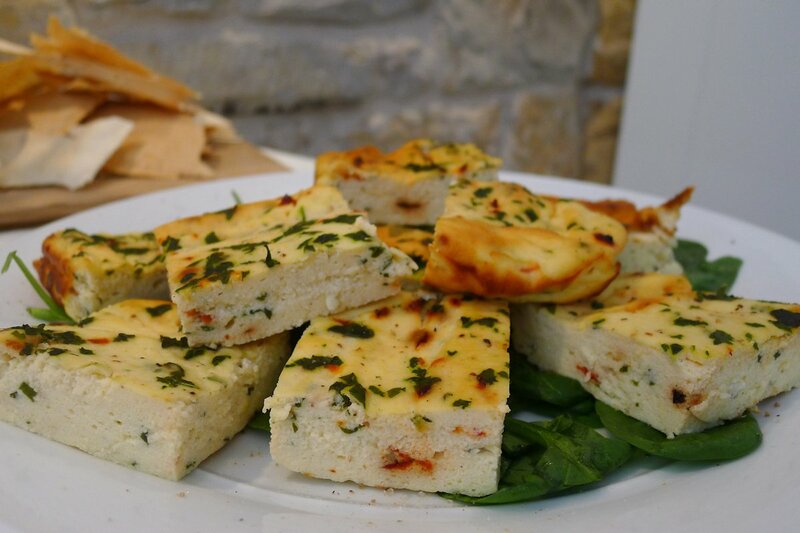 Fresh herbs from the supermarket on the other hand only have a relatively short life, are considerably more expensive and may represent food wastage as what isn’t used is either discarded immediately or a few days later. So as it may now become apparent, there is a gap inbetween the two and this is where Gourmet Garden’s new Lightly Dried Herbs come in to play! These pouches of herbs offer the flavours, colours and fragrances of the fresh variety while making them affordable and easy to keep. As the product was being explained, Kim was happily cooking and offering dishes to keep everyone happy. 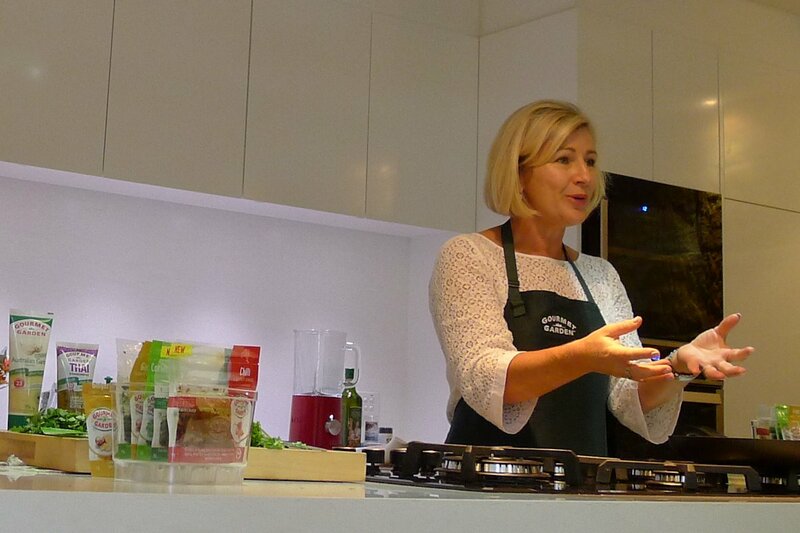 What she was in fact demonstrating was that adding herbs of this quality and freshness simply boost any meal and make it something much more exciting. 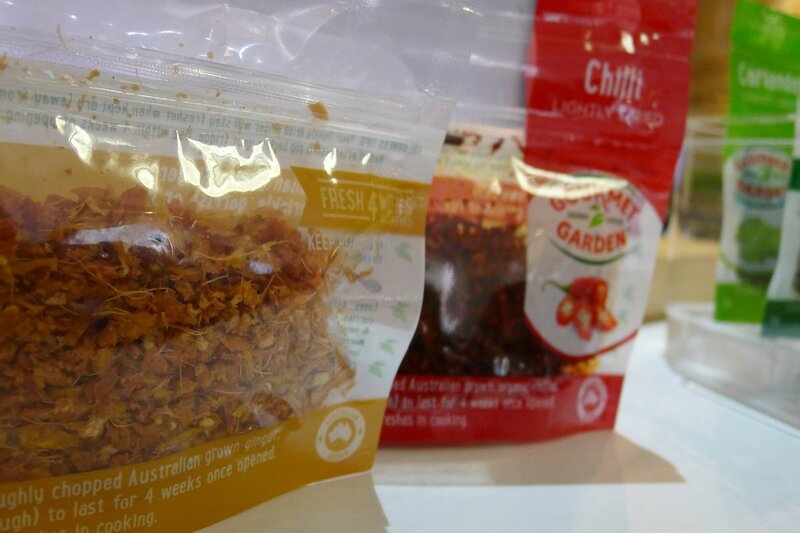 Launching from today in Woolworths and selected IGAs (with Coles joining the ranks in the coming months) are the most popular herbs: parsley, chilli, basil, coriander and ginger. I think that the price of $2.98 is outrageously good especially considering that when using the Lightly Dried Herbs, you should halve the amount required by the recipe. A $6.98 value pack is also available which contains three pouches and a bonus fridge door-friendly caddy. 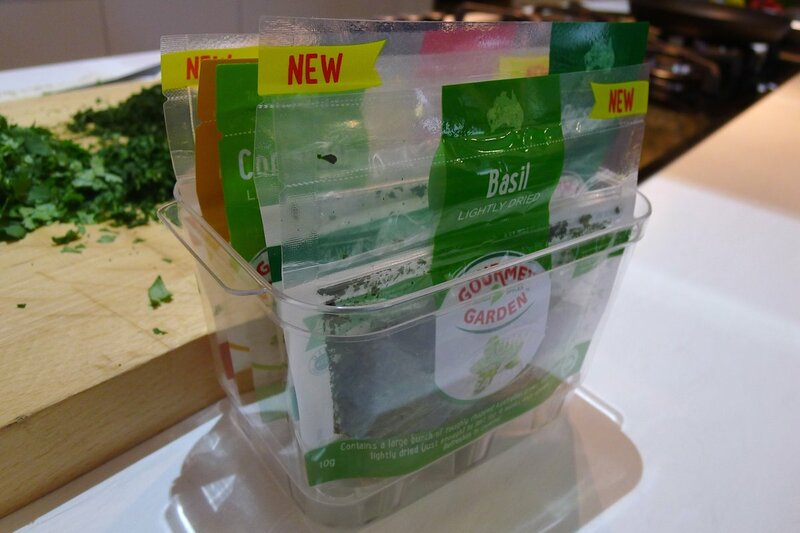 The caddy holds the pouches as well as Garden Gourmet’s paste tubes (they sit in the holes at the base). Gourmet Garden certainly seems to have everything covered! The pouches can be torn open by hand and then resealed thanks to a zip lock. 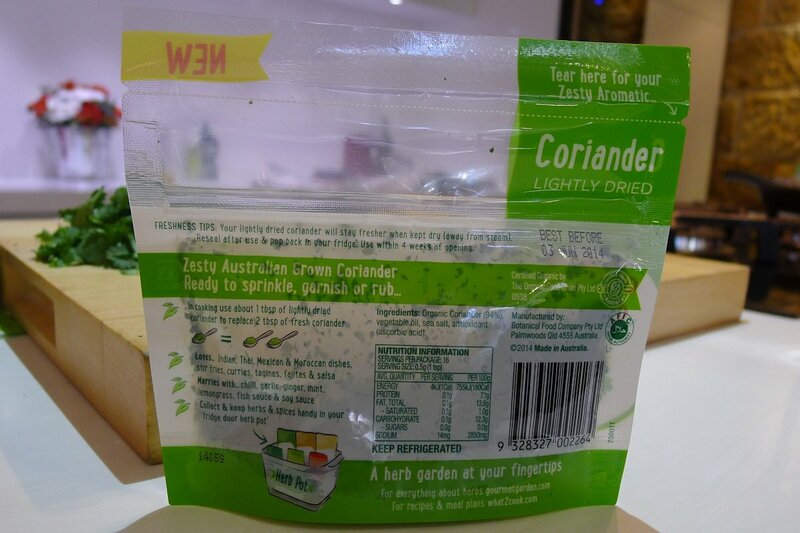 Once opened, the herbs can be kept for four weeks – the shelf life in the supermarket for a pouch is about three months. 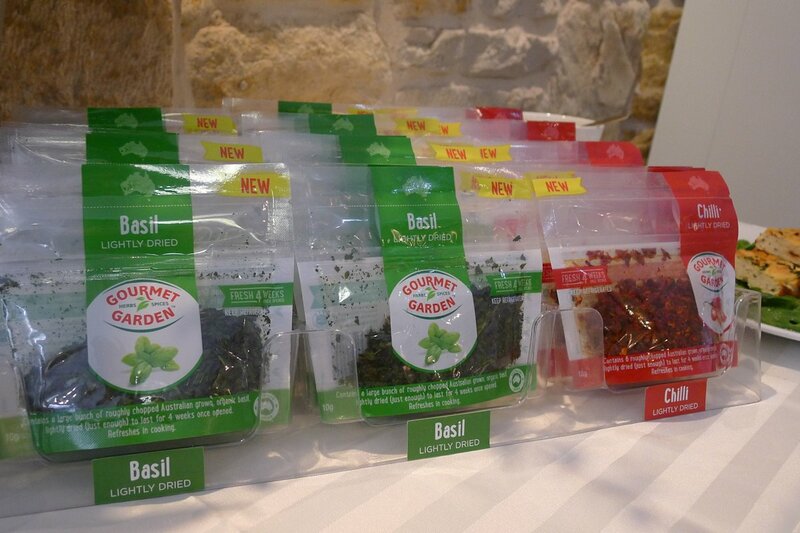 The herbs are grown in Australia (in sunny Queensland) and are also organic! I can without a doubt see these pouches being my go-to herbs of choice as they are a happy medium between fresh and dried. More varieties will also be available in the coming months. 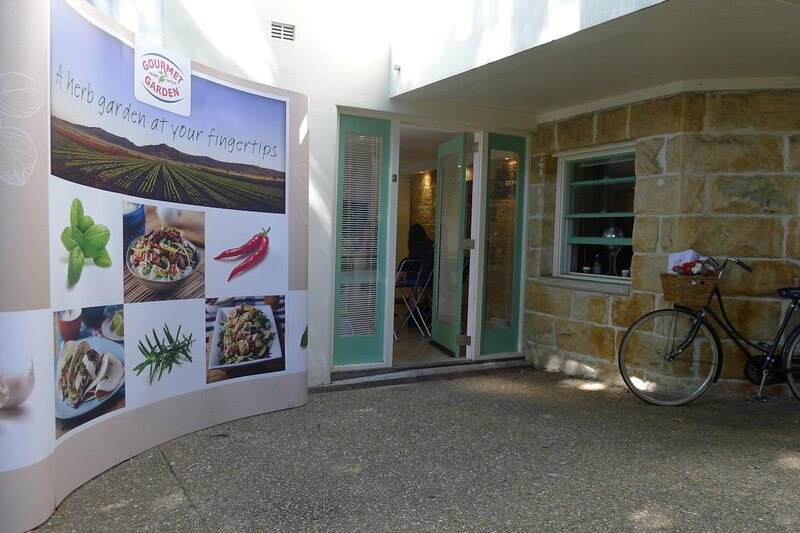 I’d like to thank Garden Gourmet and Kim McCosker for playing host this morning to an outstanding even teeming with delicious food and a one brilliant food idea! While the official information hasn’t hit online at the time of publishing this article, the products themselves are on the shelves in the herb fridge at Woolworths and IGA.